The median asking rent of properties advertised for rent on Trade Me Property was unchanged at $440 a week for the fourth month in a row in October, although there were ups and downs around the country. In Auckland the median advertised rent rose by $10 to $510 a week, after being stuck at $500 a week for the previous six months. "Auckland's rents are up just 3% on last year so landlords won't be celebrating, but it's significant to see rent expectations tick up for the first time in quite some time," Trade Me's head of property Nigel Jeffries said. In Wellington the median rent jumped back up to $420 a week after falling slightly in September and is now up 7.7% compared to a year earlier. In Christchurch the median asking rent has remained stuck at $400 a week for the last 6 months, which is down 4.8% compared to October last year. "Median rents in Christchurch look to have found their post-rebuild sweet spot at $400 a week," Jeffries said. "Rents [in Christchurch] have steadfastly remained at this price for six months and are the same as they were three and a half years ago." I can't see rents going up until we see some wage inflation. I don't think that will be the driver. I see it relative to house price values, and what sort of mortgage people can service.In many places it is still better value to rent, which means that there is still a significant margin for rents to be raised. So once rents rise, workers will then demand higher wages, which is when you may see some wage inflation. It is a chicken and egg type of thing IMO. It must be short term rentals driving up prices. Plenty of overpriced rentals in Tauranga around summer but I'd say it's getting easier to find a place to rent than a few years ago.. I see rents falling as interest rates rise. Plenty of speculators will cash out or offer the houses for rent while dreaming that the bubble picks up. Plenty of empty homes and at the moment . Palmy rents still booming. Been double digit for a while now. Shortage + students soaking up all the central stuff. Median rent in Christchurch at $400 per week seems low. We have no 3 bedroom homes under $400 with the the average around $460 per week up to $595 for 4 bedrooms. 2 bedroom units around $380 per week so either landlords are accepting less or there are a lot of 2 bedroom units being rented. Have just rented one this week and first 2 lots wanted it and the one that missed out has signed up and paid for one we have coming available in January. Most tenants are renewing for another year at this stage so it will be interesting to see what demand we have at the end of January whichis when we tend to have our rental tenancies end. All our properties are well maintained but it makes it harder if the part time rental property owners under rent their properties. Yes I appreciate that there are plenty of rentals available in Christchurch but it depends on how professional you are in your efforts to obtain good tenants. Anyone can get someone to rent your property, but many you wouldn't want! If your properties are well maintained they're probably above average for Chch, so no surprise the median rent is lower than you see. Plenty of shoddy houses bringing the average down. As always, it's the trend that's interesting. You just keep telling us how much more you know than the REINZ and Trade Me. LOL. The reality is that house prices are dropping in Christchurch and rent follows house prices. Agree. Huge over supply brewing in ChCh. Can't sustain 400+ monthly consents forever. Something will give eventually. Gordon, wish you would stop making things up! Where have I ever said that I know more REINz and TradeMe? What I have said is that I don't believe the figures Gordon. I have many friends and acquaintances that have rentals and they certainly aren't renting their 3 bedroom homes for as little as $400 per week. As I say there must be a heck of a lot of 2 bedroom units being rented compared to 3 or 4 bedroom homes. As I keep saying Gordon, if you think I tell porkies, then take up my challenge that is have offered to you many times. If I am wrong then you can gloat about it on here and be $100k better off won't you! I am prepared to pay the cost of flying you down Gordon! If you feel better thinking that house prices are dropping in Chch then I am happy for you Gordon! Truth is that yes investors are not very active either,are first home buyers. 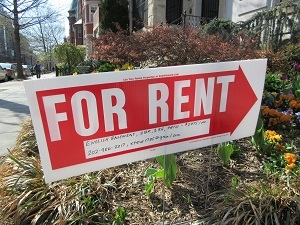 Great news for rental property owners as existing tenants stay longer don't they. TRouble for the investors is that it is not just the 40 per cent that the Banks require for new property being purchased it is that they have decreased the loanable value down to 60 per cent on all the other rental property security that the Banks have, so a double whammy. I don't disagree with you. If you say you are getting more than that, I believe you. You have no reason to lie in this situation. I just have to ask, though...Are the "many friends and acquaintances" the same ones that told you the other day that hundreds of thousands of Americans had registered their interest in moving to New Zealand? On Sunday an agent told me and I had heard it from other agents as well that the interest from the Americans was huge. And they will waltz into NZ! LOL. The government has just announced tightening restrictions for those wanting to come here. If any get in they will hardly go to a cold quake prone city that will always struggle to get back to its pre quake state. My trip to California last year was highlighted by its beautiful weather and a cheaper but higher standard of living than ours in NZ. Well go and live there Gordon, with my blessing! ANZ put up its two year rate today and I presume others will follow as banks are greedy as we all know. So you are being hit with dropping prices, dropping rents, rising interest rates and other costs and earthquake risk of course. Is there any good news down there at all. If DTI's come into play just watch this space. And the Dow hit its all time record today. Funny how USA have an idiot in charge and the markets go up and up and up. It exactly replicates the experience of being stuck in a car listening to my parents bickering about nothing. Sad but I can see it getting even worse after these earthquakes. This will be the last straw for quite a few people. While that is true my experience has been that I have got what I asked for and very quickly too. To the point of wondering if I asked for too little. Mind you my policy has always been to buy houses I would be happy to live in myself. Don't know why he winds you up so much.if you believe in your product who cares what others think mate.get over it. Why, because it gives Gordon an interest. Apart from his huge amount of shares he wouldn't have anything else to do except to try and p--- me off. He keeps waffling on about Chch prices and rents that he has no idea about. My rentals give me plenty of time as apart from abit of maintenance that I do, I have suppose I have too much spare time nowadays, but I have tried to wean myself off here, but then gordon gets me to bite. Suppose I should harden up and let Gordon play his little games! Would love him to take up my challenge that I offered him, but up until now he hasn't been prepared to take me on. "Auckland's rents are up just 3% on last year so landlords won't be celebrating"
Seems like a good reason to celebrate to me! Similar thing can be done with for sale listings too.. gives an idea of ppl per listing; and ultimately number of buyers per listing. 85k population, 121 for rent; 702 people per rental listing. Blows away even tauranga in your example above. I wish you would stop telling people to come to TGA/The Mount. They are just clogging up our roads and making my favourite cafes too busy. Come summer,when I want to walk round the Mount,I have to park miles away. Can't they all go and live somewhere else,like Tokoroa? yeah... Tokoroa...popn 13,600, houses for rent trademe 2 = 6,800 per house. Investors dream. That logic is pointless without any baselines. The best you have stumbled upon is a loose correlation that supports what we would generally expect to see..
As GenY has said he has been following the numbers over time as I have for my areas if interest. The key assumption being all areas would expect a similar proportion of the population to be looking for a place to rent (for whatever reason). Obviously student cities like PN could expect more transients in the population than somewhere like tokoroa where ppl unlikely have any reason to look for a new place to rent. Tokoroa like most area near Hamilton is also booming funnily enough, although once you get very small then the data gets extremely volatile and less reliable. But, what's the threshold for equilibrium? i.e. the rate at which we have a steady state of rental yield? What are the marginal values of idiosyncratic differentiation? Without knowing that, there is no scientific basis for investment.. Isn't that the basis of the whole business cycle - imperfect expectations? If we had a largely high density/apartment based supply, I would agree that this might be an appropriate proxy. But not in our context..
Like I said, it's a good correlation that supports our notions of what would happen. But, that's all it can ever be without some sort of validation. As number of ppl per rental listing get over 600, that clearly relates to somewhere above the threshold of equilibrium (to be fancy and appear smart without actually adding anything to what had already be explained above...). You don't need to know the exact figure where the threshold is to see that 700 ppl per rental listing is more likely than not going to add pressure on rents, especially if you've followed this over different parts of the cycle and seen 300 plus rental listings , now see only 120 as demand soaks up supply. "Marginal values of idiosyncratic differentiation" ?? You'll need to explain this to me. Modelling is imperfect by nature, that's why we model things and make assumptions, so we can simplify things and make predictions (eg change input 1 = a predicted change in output). More spruiking from the Herald this morning...advertising dressed up as news. Locations where large scale housing developments are planned hit the top 5. Like the "regional hotspots' which mention only 3 regions: Palmerston North, Whangarei, New Plymouth. Anyone been at some auctions today?